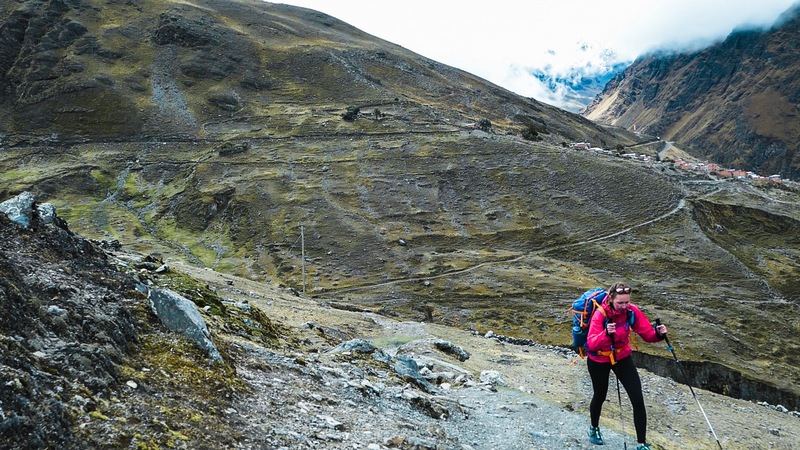 In October 2018 Jenny Tough set off on ‘Part 3’ of her challenge of running across a mountain range in every continent, solo and unsupported. 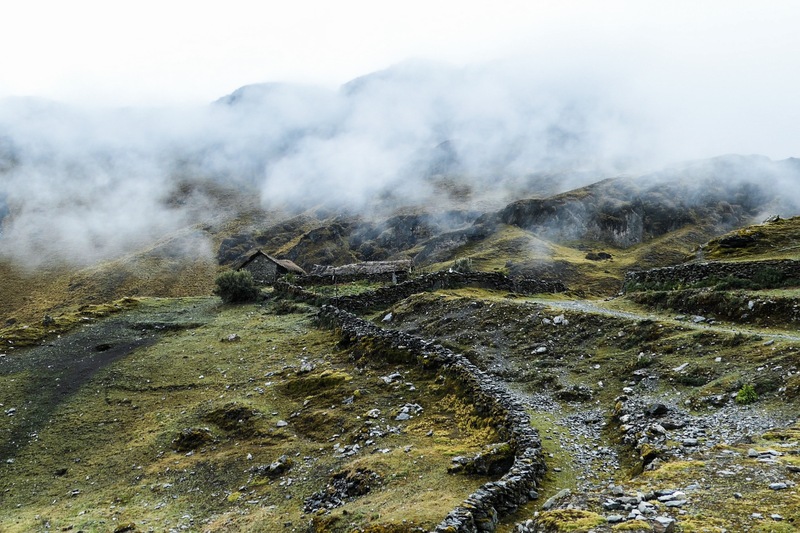 This time - the Bolivian Andes. 17 days, over 600km, and covering 3 or more mountain passes a day, often reaching 5000m altitude. 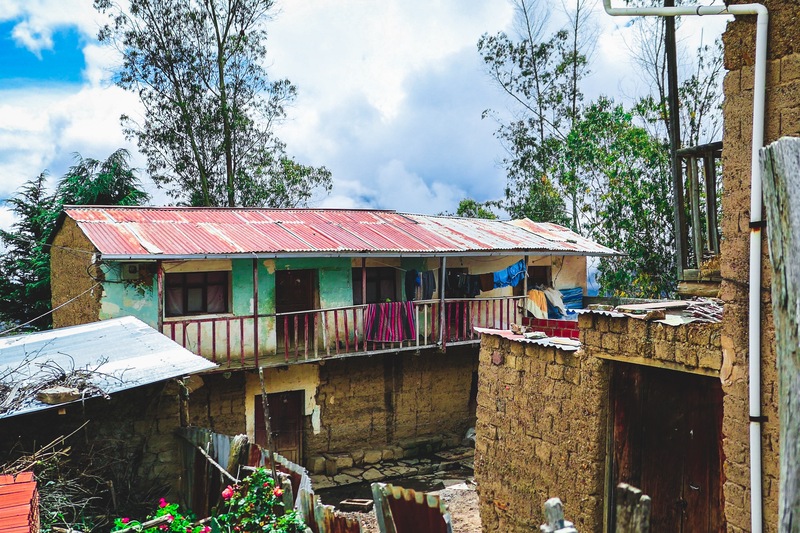 Despite heading out in Bolivia’s ‘dry season’ she arrived to find that this hadn’t really happened this year - she faced at least one thunderstorm a day, lots of hail, rain and cold. 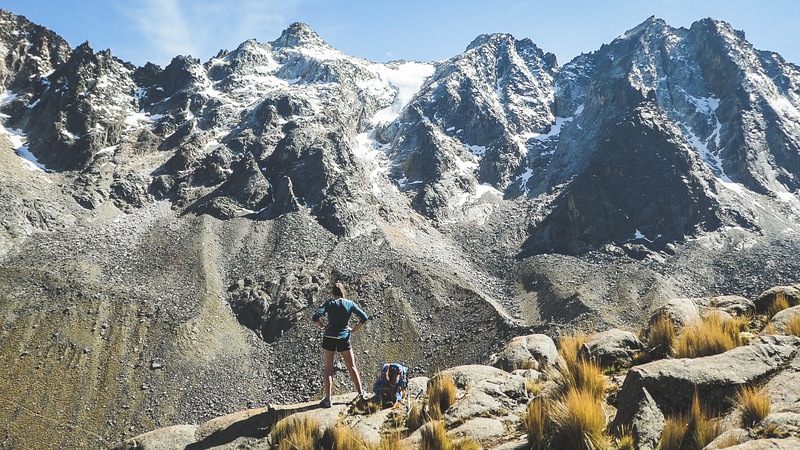 Arriving home just in time for Kendal Mountain Festival, we caught up with her a few weeks after her trip to talk about kindness, El Miedo (The Fear), kit, mental and physical toughness, type 2 fun, and that magical feeling of pushing yourself to the limit. 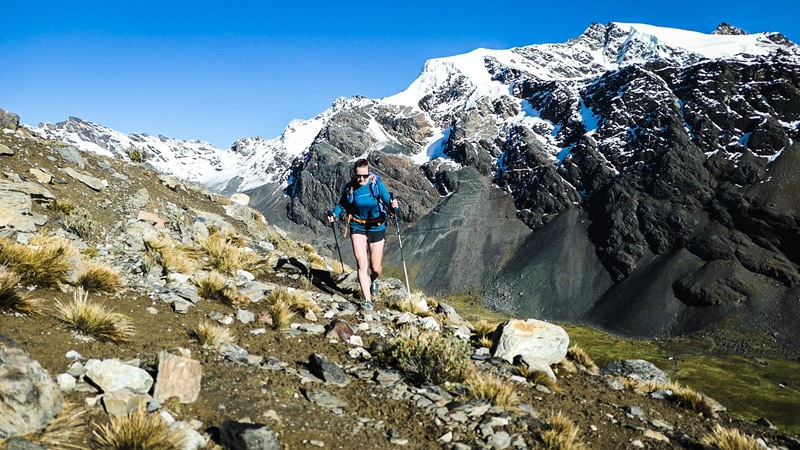 How was this compared to your previous two runs - the Kyrgyzstan and Atlas mountains? I’m definitely sure that Bolivia was the hardest thing I’ve ever done. I found it so hard at Kendal because I hadn’t come out of that Type 2 fun stage yet – I was trying to be enthusiastic and smiley but thinking ‘That was so difficult. No one should ever do something like that’. But then a friend said to me ‘remember last year after Morocco, you were traumatized, you were nearly in tears, it had been so hard!’, and I was like ‘...I loved that trip?!’. So maybe I just think it was the hardest because I haven’t got past that stage yet. From the beginning - how and when did you start running? I started when I was a teenager as a way to ‘not be fat’. It was really negative - I saw it as a punishment for eating. I hated running and I hated my body. It took years, but gradually I started to find (to my horror!) that I enjoyed my workouts, and started going further just to find more trails, and they became these little adventures. I didn't expect the mental health benefits and throughout university I became dependent on running to stay on top of my studies. After I went through the 10k/half marathon/full marathon route it was time for something else - I started thinking more creatively about the purpose of running and using it as a form of transportation. So what motivates you to do these trips now? Of course there are moments where the sun comes out and you’re surrounded by these beautiful mountains and think ‘wow, I am so lucky to be able to do this and be here’. But mostly it’s the endurance challenge that motivates and excites me. Hikers tell me all of the time that I could cover the same distance by hiking and slowing down and it’s less impact on the body. I know that’s more sustainable but what’s special for me is being able to push myself to the absolute limits – that space of being right at the limit is where the magic really happens, it’s amazing. When I really look at it, it kind of has the symptoms of an addiction. I just want to keep going and keep pushing myself! Back to Bolivia… how much interaction do you have with the local cultures you run through? Bolivia was really an experience of restoring faith in humanity – the people were so welcoming, despite hearing in every village that the next one was full of murderers. They would ask ‘do you have a gun?’ ‘Oh you really should have a gun going over there’. I was in this constant fear of the next village, and each one would be totally fine. I eventually realised ‘I actually feel pretty safe, this is nice’ – I almost wished I could do the same trip backwards just to tell them, ‘hey, they’re great people over there!’. Your expeditions are so challenging - how do you make sure you keep a good mindset when things get tough? The physical part is nothing compared to the mental. I have a lot of mantras which I shout at myself, and perhaps I’ve done enough now to know that things will go wrong and I just need to find a way to deal with it. Weirdly, when you start being negative, the last thing you want to do is find a way to stop being negative - but I find music really does help shift that, so I can always justify a bit of phone battery for the playlists I have to zone out a bit. People often ask how I deal with being lonely – but really I’m only alone for the sections going over the passes/mountains, and as soon as I arrive anywhere I don’t have time to think about it as everyone wants to know what I’m doing because I’m so unusual’. So loneliness isn’t a problem! How does it feel to finish something so challenging like that, where you’ve pushed so hard? And how do you recover? I think all of the way through how I can’t wait for my fluffy bed and how great it will feel, and at the end of all of my trips I have same thing – this huge anti-climax of ‘it’s over’. It’s pretty underwhelming - I’m on my own, I just run into a random town, and think ‘oh yeh, it’s done’... there’s not really a celebration, it’s just me in a hotel – with walls, and a bed – as opposed to being out in the mountains. It’s weird! After a few nights I start thinking ‘I should be out in a tent, I shouldn’t be here’! The physical recovery is easy – you can plan that out. I will have a couple of weeks of just rest, and then be able to build it up again really slowly with short runs, strength building, physio, biking. I just plan in that it will take a few months, so I am ready for that. Let’s talk training - how do you prepare for something like this?! The most important thing is to get in the back-to-back days. 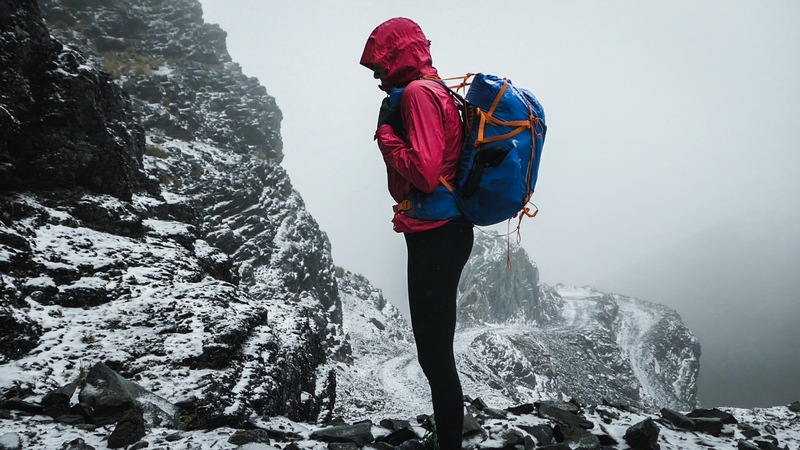 Carrying a rucksack completely changes everything about your biomechanics when you run – it’s so important to prepare for that. It’s way more beneficial to get in the weekends of taking your pack and running long days in the Cairngorms, than running normal 10-15km’s regularly or at any speed. Then there is the strength training – running with a pack is suddenly adding 10-12kg to your weight, and the impact on your feet especially is huge, so making sure everything is strong is important. 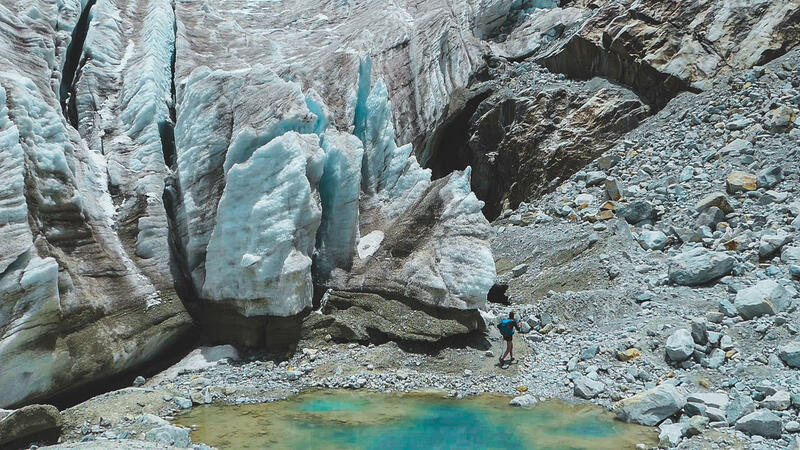 How do you manage to fund these trips and living as an adventurer? I get given kit and have sponsorship for my trips now, and I am a professional adventurer full-time, i.e. a freelancer. I make my living from bits of writing, film making and editing, and talks – that’s a big chunk. I was already a freelance writer and copy editor previously, which is a job I could do from anywhere, so the transition was gradual but not too difficult. I just started being selective over which gigs I chose and so on, in order to make it work. However I spent many years working to self-fund my adventures, learning to live with less and having a simple lifestyle, before getting to this point! Kit! What did you take? 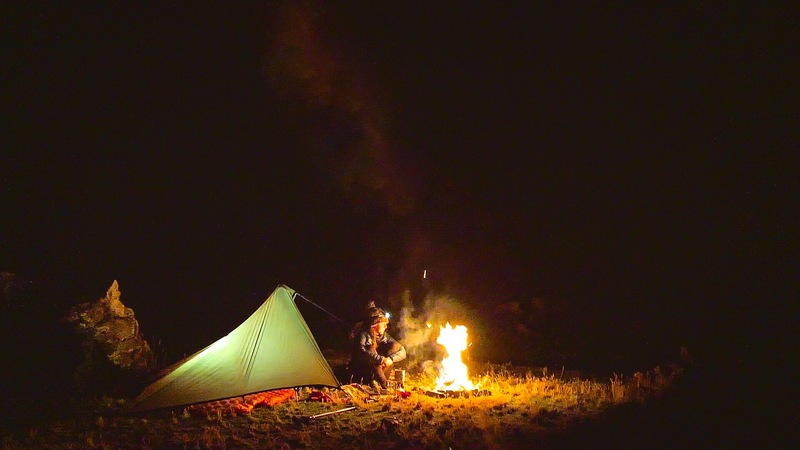 And the ultimate decision - tent vs bivy vs tarp? 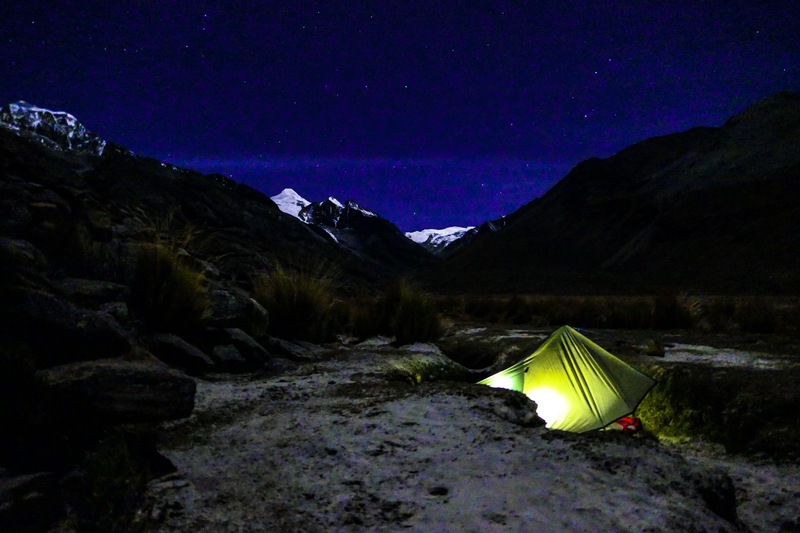 In terms of tent vs bivy - there is that comfort from a tent of zipping yourself into a little home but I’d always have a tarp or bivy now – it’s so nice to see the sky. It also helps with the paranoia – in a tent if I hear any rustle outside I freak out, whereas with a tarp I can just roll over and look. I also just want to go lighter now. I had a tarp for this trip. I’d pitch it as low as possible on one side – the other was open but I faced it away from the wind and used the natural environment, e.g. boulders, for shelter. My sleeping bag was weather coated (not waterproof, but resistant) so it wasn’t a disaster if it got wet. I wasn’t exactly warm enough, but I wasn’t ever going to be as it was just so cold! 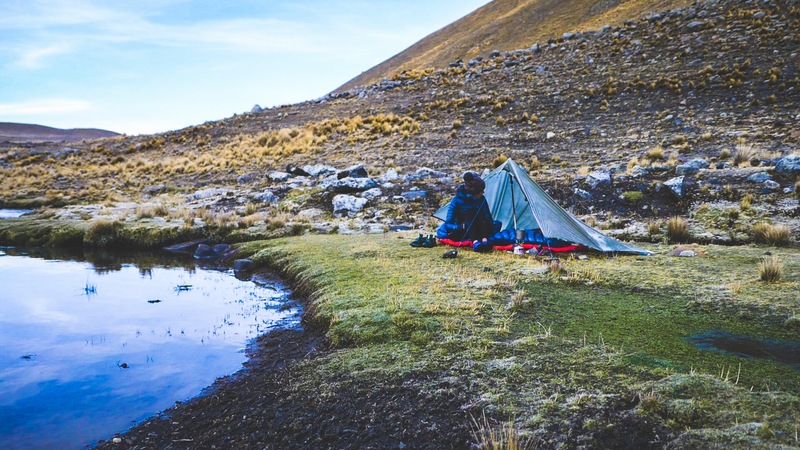 I have this unbreakable flask - a Nalgene - which you can put boiling water in and use as a hot water bottle – it’s amazing, that’s my top tip for camping! I’d usually be so exhausted that I’d just wrap myself in the tarp and look at the sky saying ‘please don’t rain’ – but it always would so I’d have to pitch it eventually. But really, you’d look at where I was sleeping and think ‘no one would ever want to sleep there’, it was ridiculous. So, I took: Tarp, sleeping bag, camping mat, stove and fuel, good waterproof and warm layers. The layers are important, but it really is just one outfit, there are minimal extra clothes. The base weight of my pack was about 6kg, but there was often up to 7 days between food points so then it jumped right up. Top three tips for running adventures? Go as light as you can, then go some more – you really need to keep the weight down, or you can’t run. No luxury items! Poles! 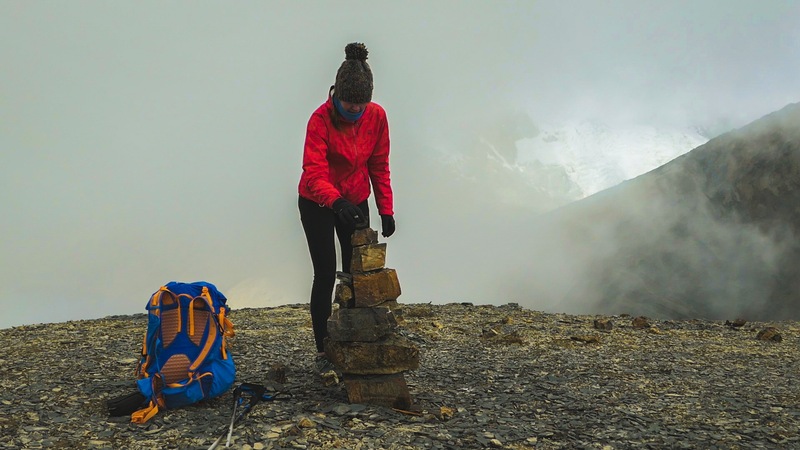 While technical ground is usually a dream, as soon as you have a pack it throws your balance off, so poles help keep you steady. They also distribute the weight so that your legs and feet aren’t taking everything. Finally, is there anything that you know now, that you wish you’d known when you were younger? Probably just knowing what I’m capable of. People will always try and tell you that it’s unachievable, that it’s too big and too much – especially as female. And it’s not an age thing - everyone gets it, and you start to believe it as you’re told it so much. Being able to believe in myself and block out that negativity is the most important thing I’ve learnt – and would encourage others to do! 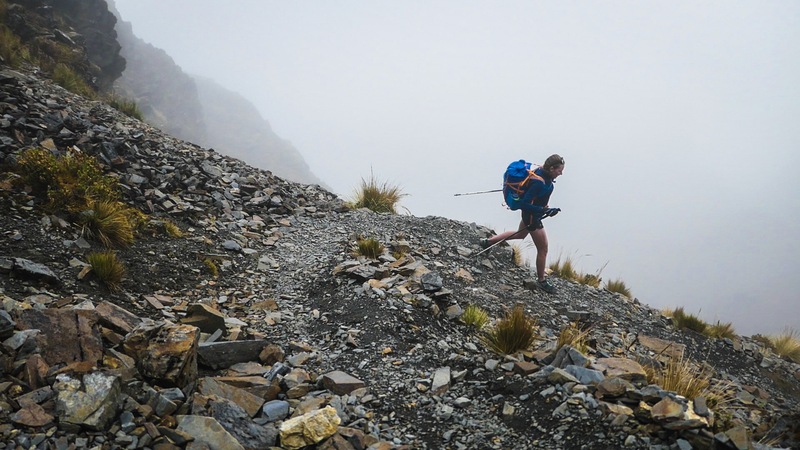 Jenny is shortly setting off on Part 4 of her challenge - this time, running across the Southern Alps in New Zealand! Follow her website and Instagram to keep up to date. And, check out the film about her Bolivia trip - El Miedo (The Fear) - here.